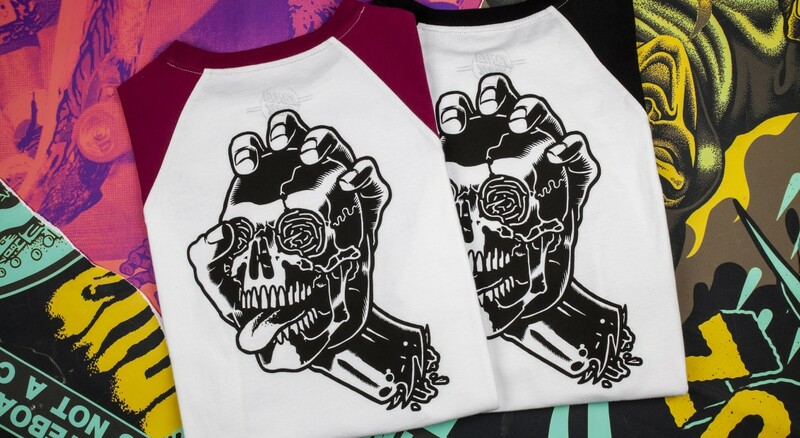 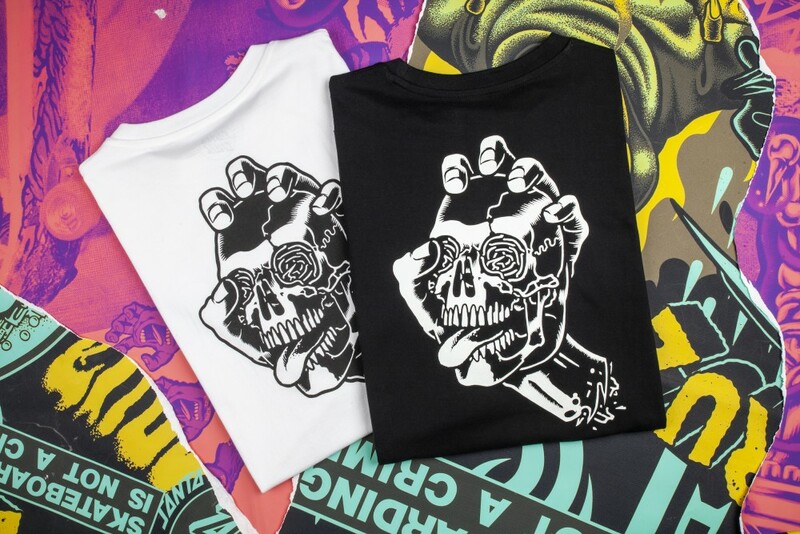 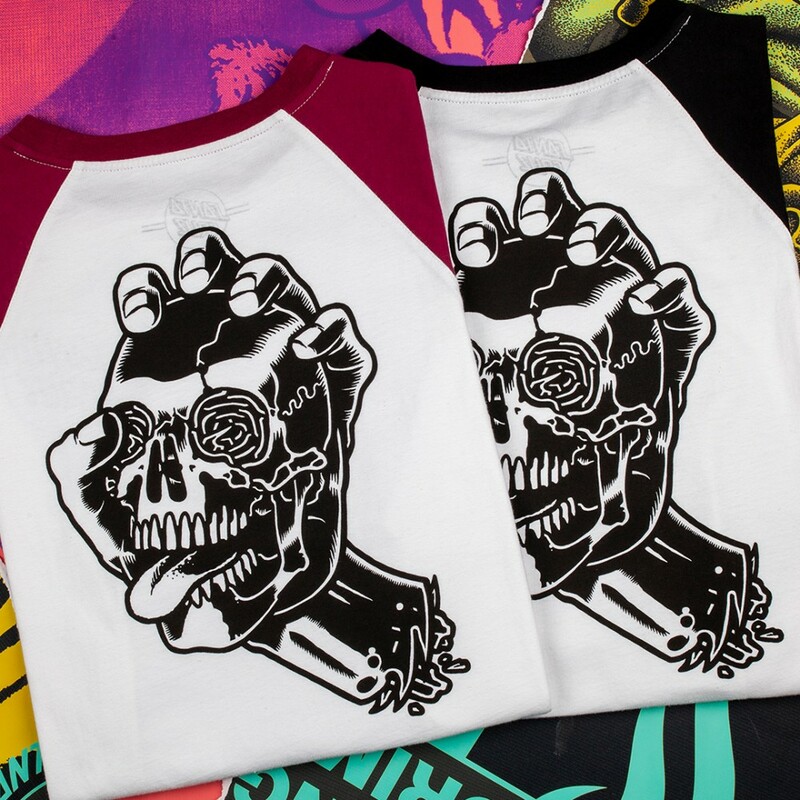 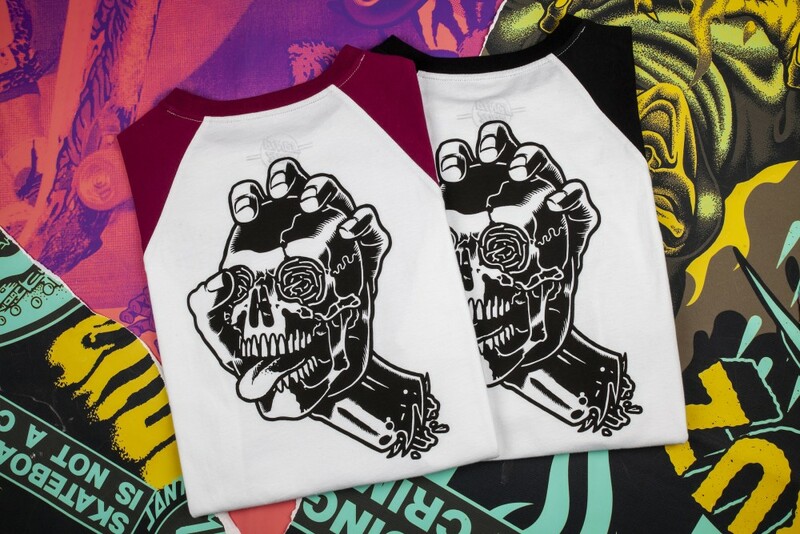 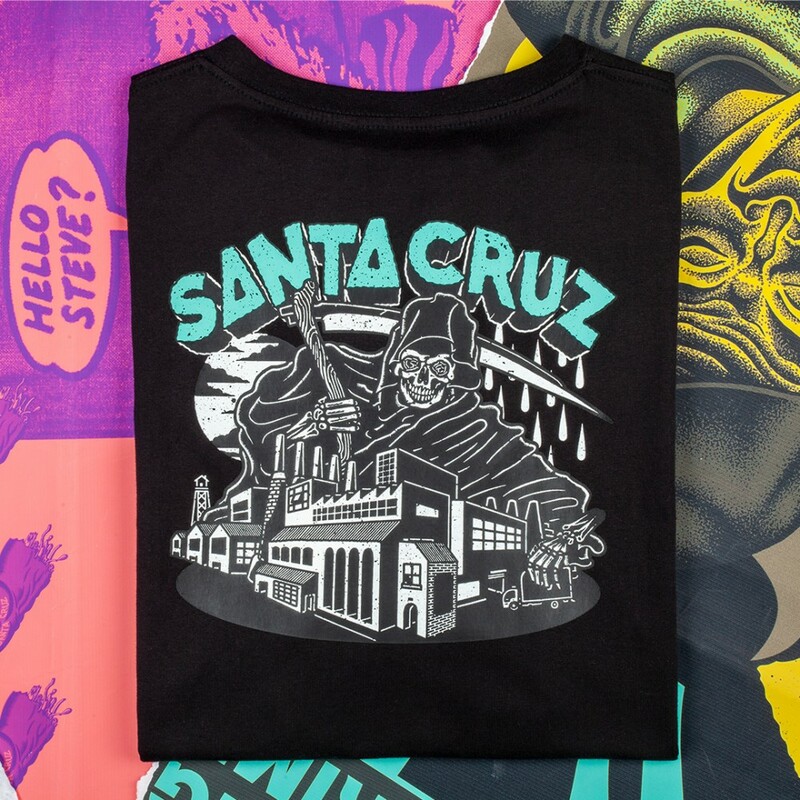 In 1985, Jim Phillips Sr. designed the Screaming Hand logo in his art studio, an iconic skate graphic that fronted the Santa Cruz Skateboard brand. 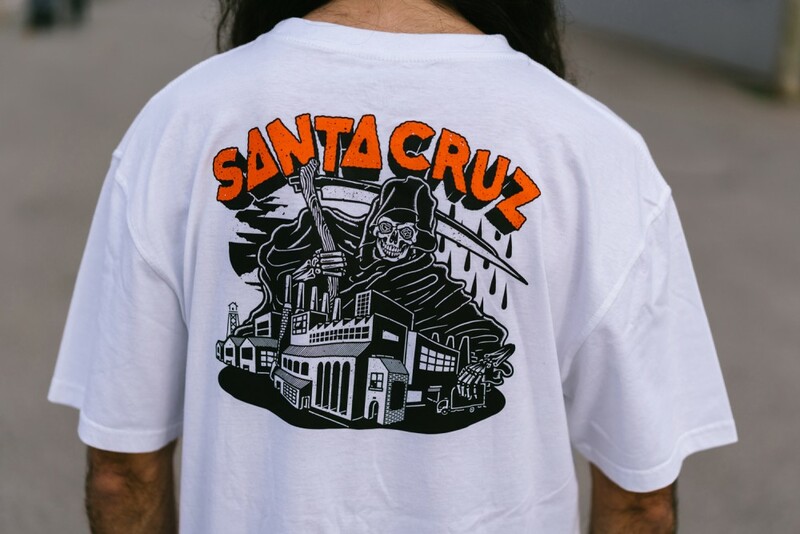 What became a defining image was just one of many graphics that has emerged from the eminent skate brand since Doug Haut, Richard Novak and Jay Shuirman opened its doors in 1973. 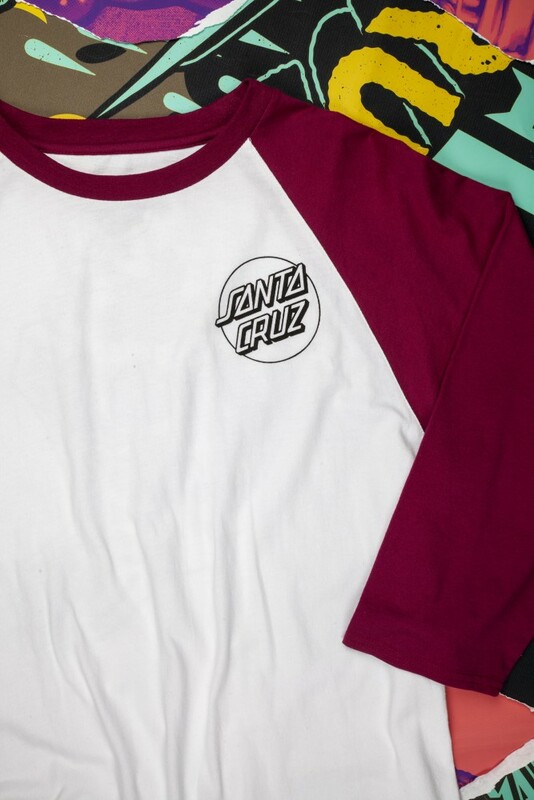 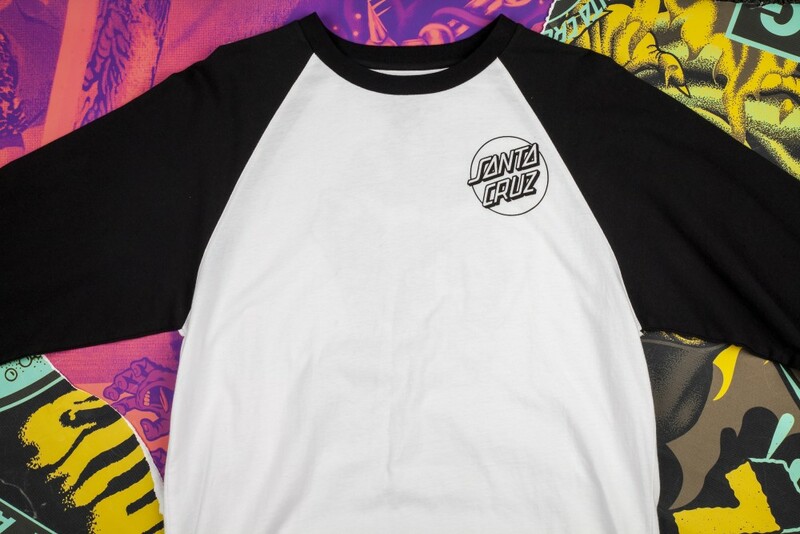 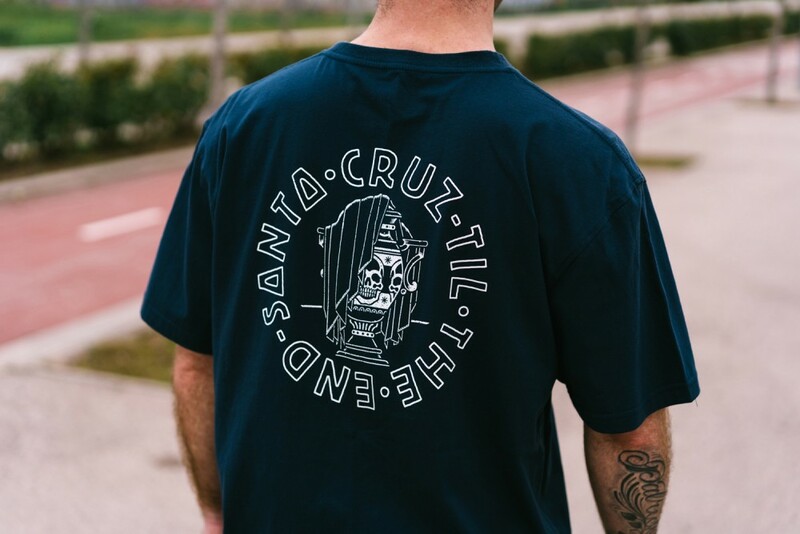 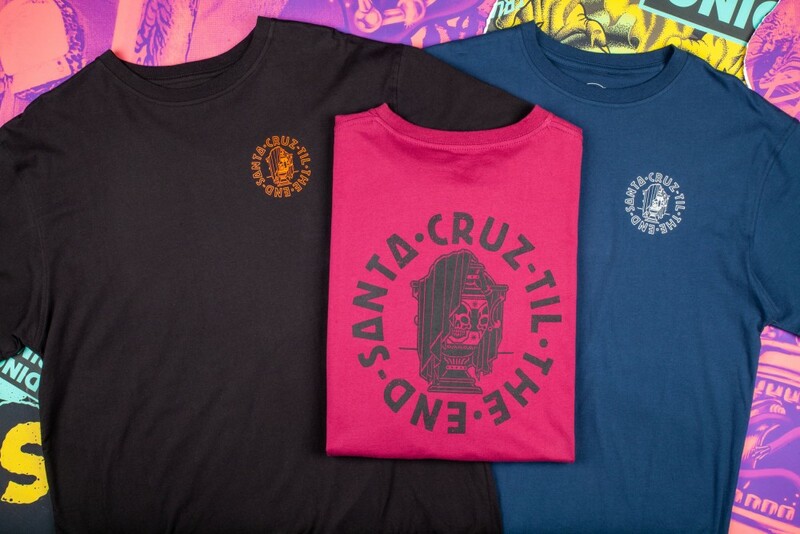 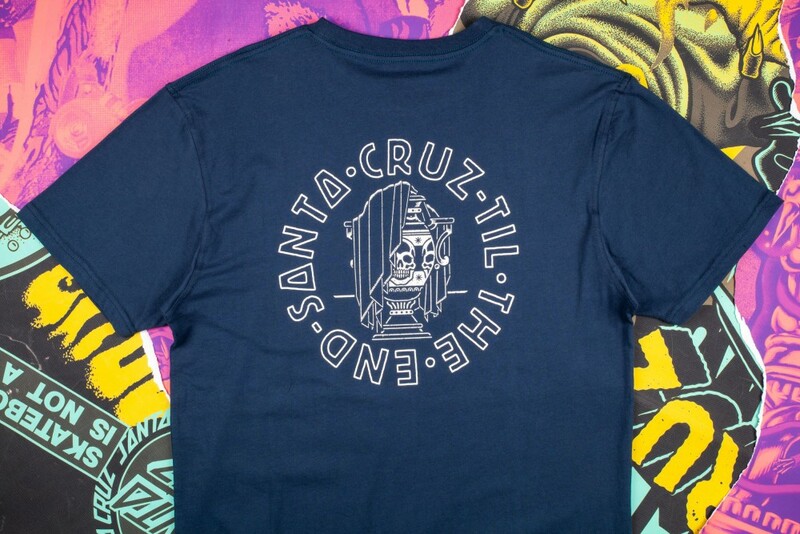 The oldest continuous skateboard company in the world, for SS19 the brand are paying homage to their distinguished legacy via a capsule collection celebrating Santa Cruz’s instantly recognisable designs from the 70s to present day. 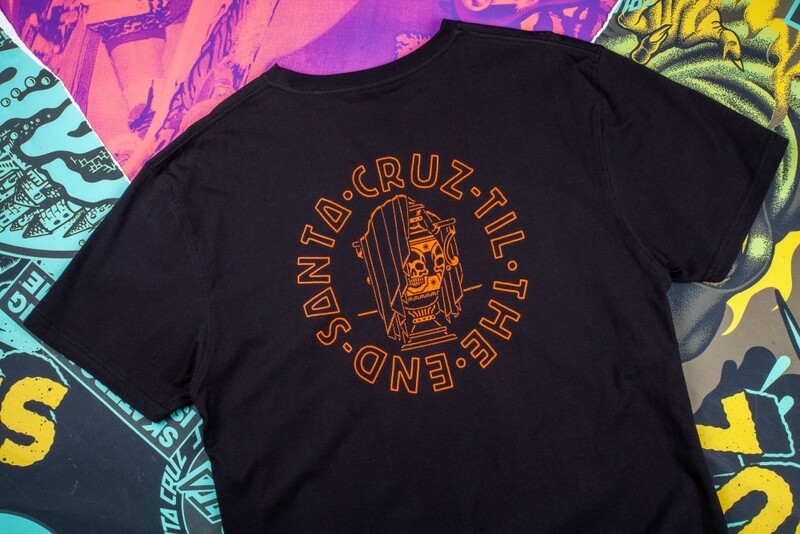 Named ‘From the Beginning Until the End’ the collection revisits and reanimates Santa Cruz’ eye-popping graphics by legendary artists such as Jim Phillips, Tom Knox, Eric Dressen and pastes them across a wide range of garments alongside new works by nascent young artistic talent such as Liverpool-based illustrator and graphic designer Craig Robson aka Daggers For Teeth. Speaking of Santa Cruz’ influence on his own work and life, Robson says: “Honestly I have no idea when I first encountered the Santa Cruz graphics or the Screaming Hand, it feels like something that has lived in skateboarding culture forever, like seeing the Mcdonalds M. It was probably sometime around the Tony Hawk video games-era when I first remember getting into skateboard graphics. 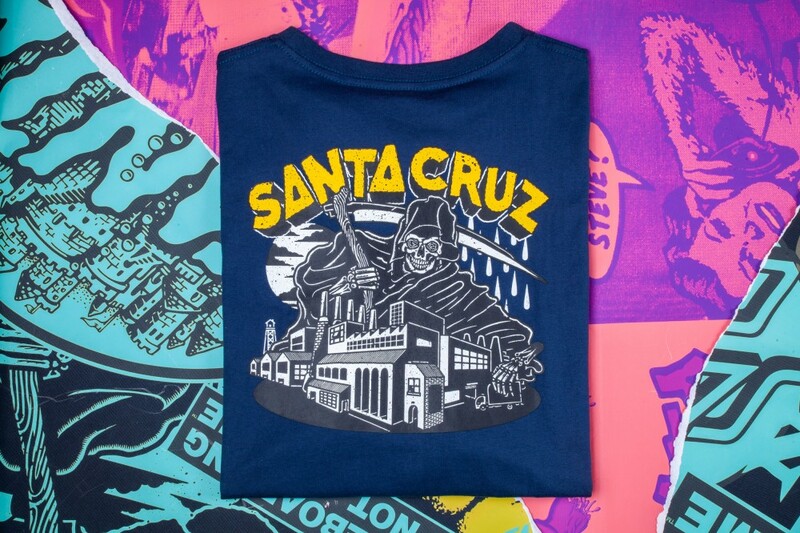 I was reading Sidewalk magazine, listening to Hellcat records – “Give ’em the Boot” – and playing video games, so I think all the imagery began to trickle together around that time. 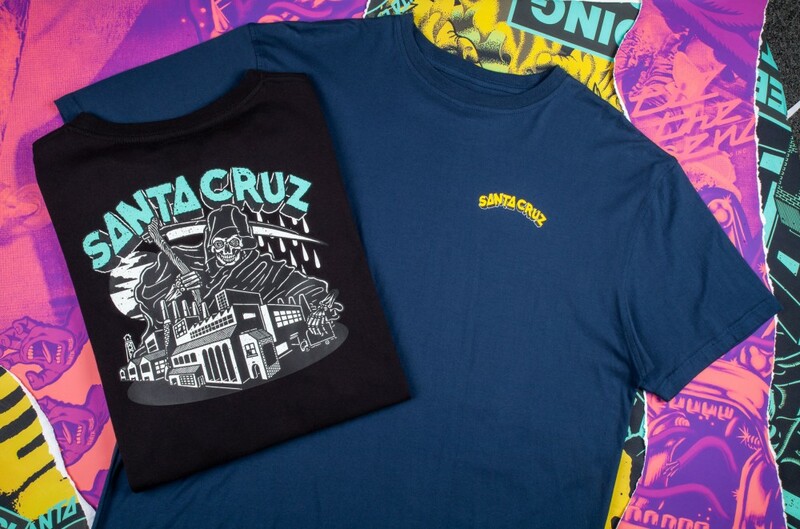 The Santa Cruz SS19 collection is available online now.